Toby's encompasses what a true supper club is all about. The dinners not only consist of your entire, soup or salad, and bread, but you get fresh veggies with your bread, and they bring fresh cinnamon rolls for a sweet treat after your meal. They feature both Blue Gill and Cod fish fries, that keep people coming back for more. The bartenders and wait staff are very friendly, and even when it is crazy busy, they always seem to make you feel welcome. The earlier you come the better, because this place fills up quick! The Avenue Bar is a true Madison staple as far as restaurants are concerned. They feature both fried cod and perch. The place gets busy, so try to plan ahead with a reservation, but you still might wait a little bit. They just went under new ownership the past year, and the place stayed pretty much intact, but a little bit more cleaned up. The Stable Grill features both beer battered and baked cod with potato, coleslaw and bread. If you are really hungry, there is a choice to upgrade to all you can eat beer battered for $1.50 extra. The atmosphere is warm and cozy, and the staff is very friendly. The Maple Tree's fish fry is sure to please people of all hunger levels. They offer fried or baked cod and offer the option of 1,2 or 3 pieces, and also have lake perch. All their specials come with soup and salad bar, potato or vegetable and fresh bread. The Esquire received many rave reviews for their fish fry when we asked around. They have been family owned and operated for 63 years! The Esquire Club also is one of the first places to start the traditional "Friday Night Fish Fry." They are best known for their Ocean Perch which is served family style, with French fries, coleslaw, and bread. Brocach has a great all you can eat Fish and Chips fish fry featuring, harp battered haddock filet, lightly fried, and served with thick cut fries, curry slaw and tartar sauce. The atmosphere of Brocach is very homey and truly feels like an Irish pub, which it should. Brocach has lunch, dinner and late night menus including Irish specialties as well as daily lunch and dinner specials. Alt n' Bach's is a great mom and pop family owned restaurant/bar that is just off the beltline at Todd Drive, but if you don't know about it, you might not have known it was even there. 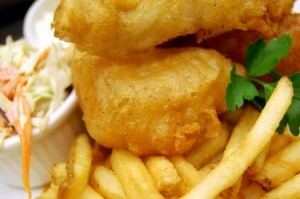 Their Friday Fish Fry features all you can eat lightly battered cod or cod lite. The restaurant is very family friendly, including a kids menu, very casual, and has a lot of seating. Rex's Inn Keeper is another great example of a wonderful old supper club. They have fried or bake cod, both of which are both very good. Their salad bar is an additional charge, but worth it, especially once you see how big it is. They accept reservations, but you will get normally get seated in a reasonable amount of time if you don't have them. Keep in mind that the parking lot may look packed on a Friday, but they have a large banquet room in the back that can account for many of the cars you may see. South Bay Lounge may not be a place you think of for a great fish fry unless you have been there yourself. They have a variety of fish options on Friday's including, Beer Battered Deep Fried Cod, Baked Cod, Beer Battered Blue Gill, Walleye, and Corn Bread Catfish. All the fish dinners come with potato choice, coleslaw and roll. Fitzgerald's has an all you can eat fish fry buffet consisting of beer battered haddock, baked haddock, and seasoned haddock, along with many other items. On Saturday's they have Prime Rib Buffet that will leave you full and talking about it for weeks to come. Congratulations to John and Sharon, the new homeowners of 533 Kelly Street in Sun Prairie! They were looking for a solid home to put some sweat equity into and fix up and remodel. This was the perfect fit and a great location for them. The home was listed at $99,000 and sold for $95,000 in 43 days. Amenities include: remodeled kitchen with oak cabinetry, hardwood floors, and full basement with bathroom. Private back yard with spacious deck and 1.5 car detached garage. We are happy to announce this sale by Carlos Alvarado. He is an expert working with buyers and brings great knowledge, experience and patience to the process. Feel free to contact Carlos Alvarado today at 608.438.6757 or carlos@thealvaradogroup.com. Great location! Located in the heart of the near east across from the Yahara River, near Lake Monona and walking distance to many local establishments. Currently a 2 flat and could be easily converted to a 4 bedroom single family home. Gorgeous wood floors and original wood trim. Main floor has remodeled kitchen with new appliances. Other updates include vinyl siding, roof and windows. Has a 2 car garage with large studio above with exterior entrance. o 4 bedroom, 2 bath o 2196 sq ft 2-flat easily converted to single family o 2-car detached garage o For current price and more photos, click here. Madison School Information for 430 S. Thornton Ave.
Less than a year old with a wonderful floor plan, great flow and plenty of space for your family. The kitchen with its solid surface countertops and cherry cabinets will be a delight to prepare large and small meals. Plenty of backyard space for the kids to run, all located in a subdivision with bike paths and surrounded on two sides by conservancy. The upstairs laundry will make for efficiency on laundry day. The oversized garage will have plenty of room for toys and bikes. 3 BR, 2.5 BA, 2656 Sq. Ft.
For current price and more photos, click here. This home is marketed by CathyLacy - The Alvarado Real Estate Group. For a showing of this home or to discuss selling your home, please contact Cathy at 608.213.3979, or CathyLacy@Realtor.com. Imagine summers sipping lemonade on the spacious front porch overlooking the nature conservancy. This classic American Bungalow is exactly what home should feel like. Enjoy spacious open rooms with plenty of warmth and charm. From the lower level theater room and main floor living room wired for surround sound to the prewired in home audio this home has the bells and whistles you've been looking for. The cozy hearth room off the kitchen is a perfect place to relax with a good book and enjoy the warmth of your fireplace. Spacious, 3 BR, 2.5 BA condo in a great location. New roof, huge kitchen, skylight, 2 large walk-in closets, deck, private entry, one car attached garage, extra parking, great association and ample green space make this a wonderful place to call home. The lower level boasts a large bedroom or rec room, full bath, more storage space and utility area. UHP warranty included. 3 BR, 2.5 BA, 2000 Sq.Ft. This home is marketed by Julie Campbell - The Alvarado Real Estate Group. For a showing of this home or to discuss selling your home, please contact Julie at 608.577.3767, or julie@thealvaradogroup.com. Gorgeous wooded lot in the heart of Shorewood Hills, close to Shorewood Elementary School, Four Corners park, and Blackhawk Country Club. Benefit from the close community that features the Shorewood Pool and community center and access to Lake Mendota. Just a bike ride away from UW, hospitals, Hilldale area and downtown, this home was cared for and loved for many years. It needs updating but has great potential. Huge family/rec room adds a loft area, vaulted ceilings, great light. Beautiful wood floors, easy layout. 4 Bedrooms 2 Baths, 2516 sq. ft.
Close to the University Campus and Hospital. Easy access to nearby Hilldale Mall and upscale shopping center. Enjoy nearby parks and beautiful Lake Mendota. Take walks to Picnic Point, or enjoy biking on the nearby city bike paths. Enjoy the Shorewood Hills Pool with swimming lessons, water ballet, Olympic size swimming area and much more. Public Tennis courts, soccer fields, & park space within walking distance. WOW, can only describe the total renovation of this house. Inside and out completely up to date and contemporary. Located on a quiet cul-de-sac in Walnut Grove close to parks, schools and shopping. Generous room sizes with a much sought after open plan. Private backyard with large patio and deck area to entertain. Enjoy the fall evenings around your cozy fire pit or inside in front of one of the two fireplaces. New hardwood floors thoughout the entire first floor. Relax and enjoy the work has been done. 4 BR, 2.5 BA, 2884 Sq. Ft.
Great neighborhood association offers community activities: Bunco, Fall Bonfire at Walnut Grove Park, Fourth of July Parade, Garage Sale, Garden Club, Various Adult Social Events. Visit the Walnut Grove website. This home is marketed by Cathy Lacy - The Alvarado Real Estate Group. For a showing of this home or to discuss selling your home, please contact Cathy at 608.213.3979, or cathylacy@realtor.com. This spacious 3 bedroom was just put back on the market. The past owners recently moved out and now there is fresh paint, numerous repairs have been made, it is clean and ready for new owners. Garden lovers heaven! The time, love and dedication that have gone into the landscaping make this sweet bungalow a special find. Interior features: laminate floors, spacious layout, newer windows. Exterior features: new siding, solar hot water system (with a new pump), rain barrel, built in patio fire pit, amazing rock garden, perennials, edible garden, bursting colors, and the backyard borders city park and bike path! The back addition (completed by previous owners) now has water pipes that heat up really well in the spring and fall and keep the floors nice and warm. Sit on the front 3 season porch and escape into your retreat home. Freshly painted, move in ready, 1 year warranty. Edible landscaping includes: Raspberries, blackberries, kiwi, apple tree, blueberries, strawberries, mulberries, currants, lingon berries, josten berries, & elderberries! Easy commute access to Downtown or Aberg to Stoughton Rd. Visit the Hawthorne Library on E. Washington Ave.
After many months we are happy to congratulate the Rodriquez/Zuniga family on the purchase of the FIRST home! During a time that has proven challenging in the lending industry Carlos Alvarado and Dave Clem at M&I Bank worked hard to help this family buy a home that they loved and that would cater to their big family dinners, great parties and that place they can call home. 4310 Sentinel Pass is just south of the beltline off of Seminole Highway and features four bedrooms, two bathrooms and 1,908 square feet. 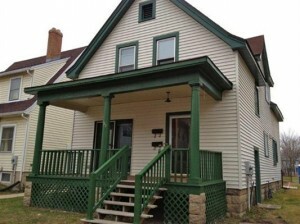 On the market for 41 days it was listed for $219,900 and sold for $200,000 in July 2011. Thinking about buying a house? Check out our buyer tips and contac Carlos Alvarado for a consultation today, 608.438.6757, carlos@thealvaradogroup.com! This classic four bedroom colonial in the Village of Shorewood Hills SOLD in 4 days! The Sellers put in a lot of time to staging and preparing the home for sale and making sure that when it hit the market it was spotless and in perfect showing condition. There are many people that are always watching the Village of Shorewood Hills to see what home will come up for sale and if it will be a good fit for their family. That is why it was so important for 1215 Wellesley Rd to be ready and priced right because the Sellers wanted an accepted offer in the first 30 days. And they got it! Sure enough, the buyers that snatched it up had been looking for a long time at every new listing in Shorewood and they didn't hesitate in submitting an offer and moving quickly on this spacious home. Congratulations to everyone for a smooth and successful transaction. Are you thinking of selling? Contact Sara Alvarado today to talk about the timeline, process and get started on preparing your home for the SOLD sign! Beautifully decorated and updated 2 bedroom in near East side neighborhood close to Tenney Park, bus line, and local shopping and restaurants. On the second floor with great views features an open floor plan, two good size bedrooms and an updated bathroom. New flooring, freshly painted, newer appliances, countertops, stackable washer and dryer make this an incredibly affordable move in ready condo surrounded by mature trees and offers 2 parking spots! Open flow from kitchen to dining room and living room. Updated bathroom, ceiling fans, fixtures and very well cared for. Condo fee is $125 a month. 2 BR, 1 Bath, 852 sq. ft.
3 blocks from Tenney Park and Beach, a great city park offering year-round activities. This Indian Springs listing at 17 Geronimo Circle was listed for $179,900 and sold for $175,000 by Sara Alvarado on July 28th, 2011. New buyers are excited to live on a great cul-de-sac in a conveniently located neighborhood just south of the beltline off of Rimrock Road in Madison WI. This is their first home and they are expecting their first child in the fall - exciting times! Of all the homes they looked at this home was a great opportunity with its classic colonial style, 3 bedrooms, 1.5 baths and a large deck and mature backyard. The kitchen was updated and featured new countertops, stainless steel appliances and a large sliding glass door from the dining area to the back deck. Main floor laundry room was a plus and of course it also features a highly desired finished lower level complete with bar area and new carpet! The house was in great showing condition compared to other homes and the buyers were drawn to the style of the home and how move in ready it was. Welcome to the neighborhood Kathleen and Carlos! Are you looking to buy a home in the Madison WI area? Check out our great search tools on our website. From For Sale by Owner to Realtor to SOLD! "As a first-time home seller, The Alvarado Group excelled at reassuring us, keeping us updated of progress, and responding to our concerns in a quick and thorough manner. My only regret is not getting them involved in the process earlier. Our condo sold quickly in a tough market, and Sara Alvarado was never afraid to bring a dose of reality to our expectations (a key to being able to sell in this market). We attempted to sell For Sale by Owner, but without the necessary knowledge of the housing market, our price was off, and our time was compromised with attempting a quick move as well. When Sara took over, so much of the mental stress was lifted as well. All documents were signed electronically, which was imperative since our move out-of-state, and the process couldn't have been smoother. 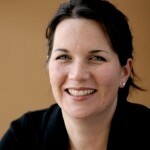 Thanks, Sara, for all your work on our behalf." Beautiful end unit condo at Hatchery Hill in Fitchburg is now SOLD! Congratulations to the new Buyers and to the Sellers on a successful and a quick closing. With an accepted offer in the first week of April we were still able to close at the end of the month with less than 30 days! Thanks to Christa Sweeny at River Valley Bank for helping to make it happen. 5460 Coachman Place - Listed for $179,900. 2 bedrooms, 2.5 bathrooms, 1760 sq. feet townhouse. Sold in 65 days for $170,700. Looking for a condo in Fitchburg or somewhere else in the Dane County area? Looking to sell your home or condo? Call our team today! You can meet us all here. The hardest decision about this house will be whether to hang out on the front porch or the back porch - they are both perfect spots! Or if digging in the dirt is your thing you'll love the gorgeous and fenced back yard, deck and outbuilding (this was once a garage back in the day) that would make a beautiful studio. Home layout features 2 bedrooms upstairs and 1 bedroom on main floor (currently TV room) with an updated half bath. The kitchen has been remodeled and even though it isn't a huge kitchen it has great efficiency, updated cabinets and an open spacious feel to the dining and living areas and conveniently located right at the back door to the back porch. Just one block to Tenney Park and the Beach and a quick bus trip to UW Campus and downtown. The Tenny Lapham neighborhood is one of the sweet spots in Madison. This gorgeous Northlake home in Middleton just sold and we are excited to report another successful and smooth transaction. 5502 Grassland Trail, listed in February for $449,900 had a total of 4 showings and sold after 15 days for $425,000. The Sellers did their part in making sure the home was in perfect showing condition. They made necessary repairs, cleaned the carpet, decluttered, packed and stored personal items and made sure they were listing their home to sell it and not just to test the market. There is great power in the intention to move and in a time of fear and uncertainity it is easy for some families to doubt their ability to sell their homes and have everything work out exactly the way it is supposed. This was a great example of the power of intention, positive thinking and a certain amount of calm in what can be an incredibly stressful time. If you are thinking of selling your home, contact Sara Alvarado to talk about the possibilities, 608.438.5005, sara@thealvaradogroup.com.